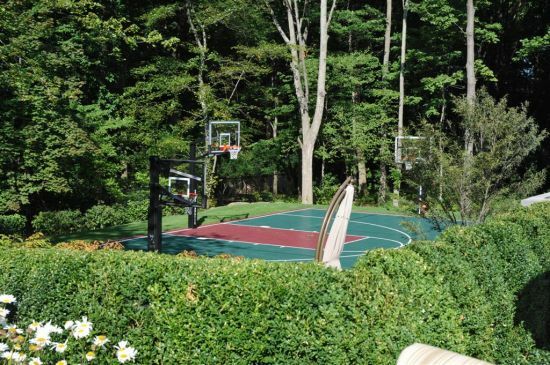 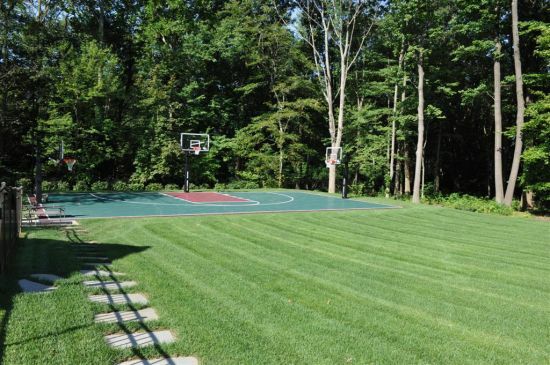 Athletic courts are a great addition to the landscape. 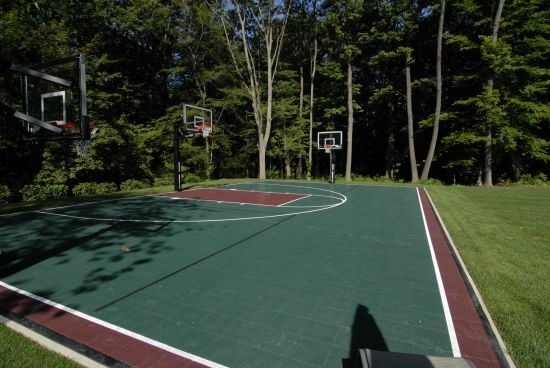 Ranging in size from a half court for basketball all the way up to a full court, their uses are unlimited. 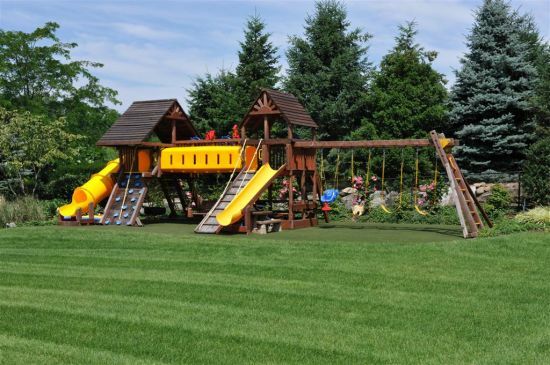 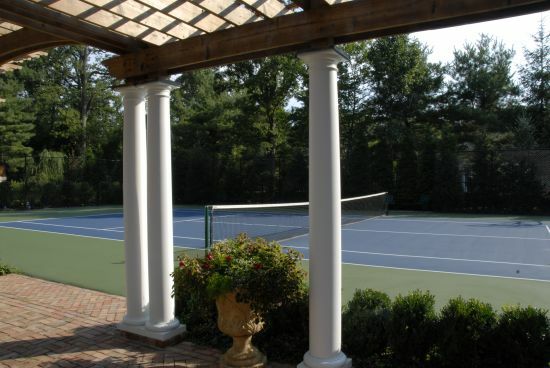 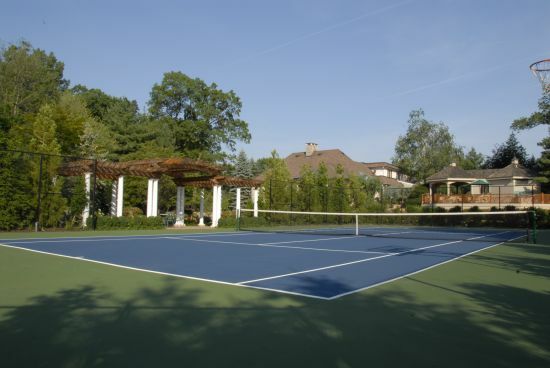 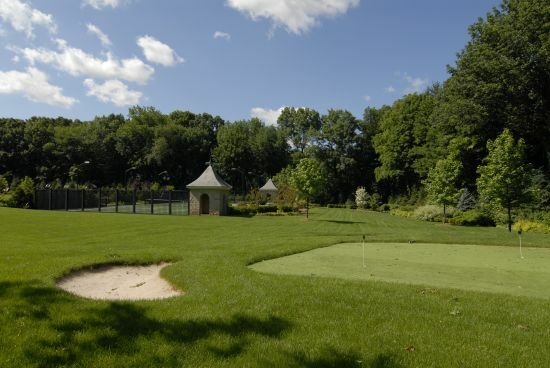 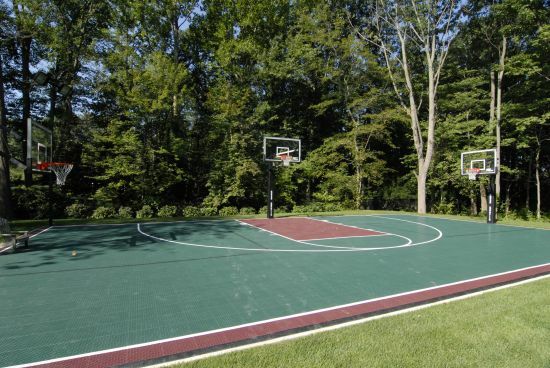 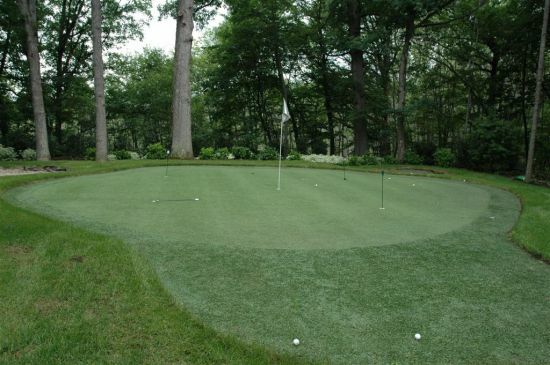 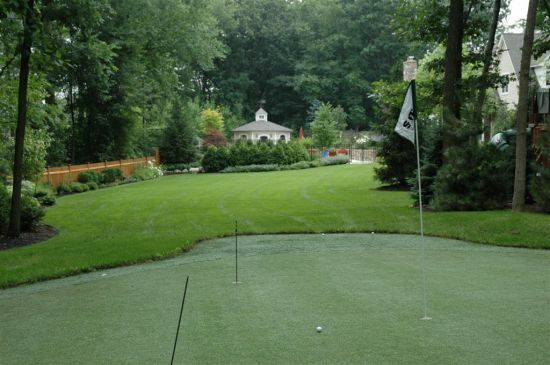 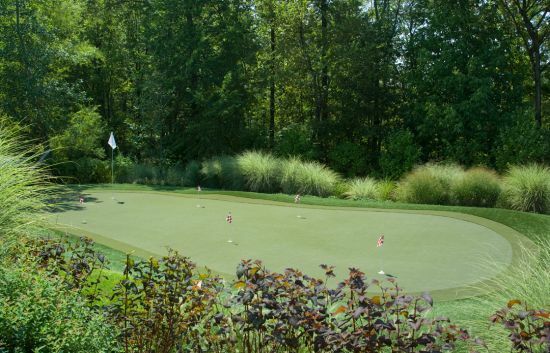 Roller hockey courts, tennis courts, basketball courts, chipping greens, putting greens, volleyball courts, horse shoe pits, bocce ball courts, and play areas all can provide additional entertainment to your landscape. 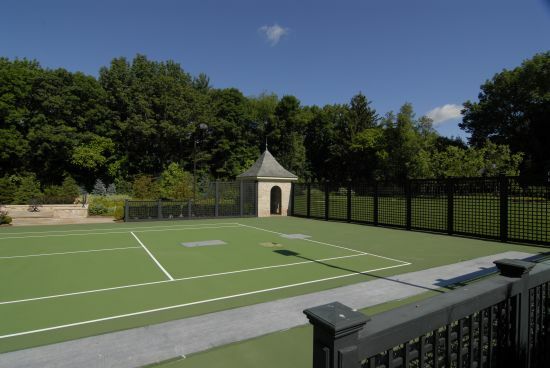 Athletic courts can be designed with a range of materials and colors to please even the professional athlete. 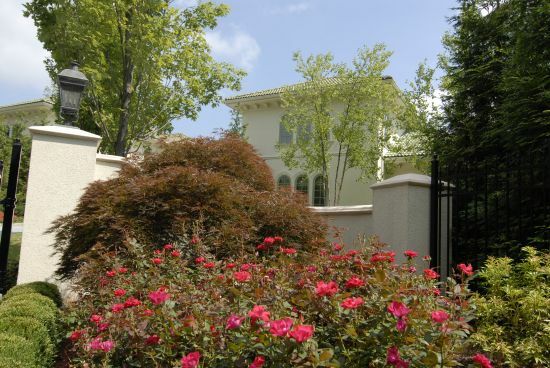 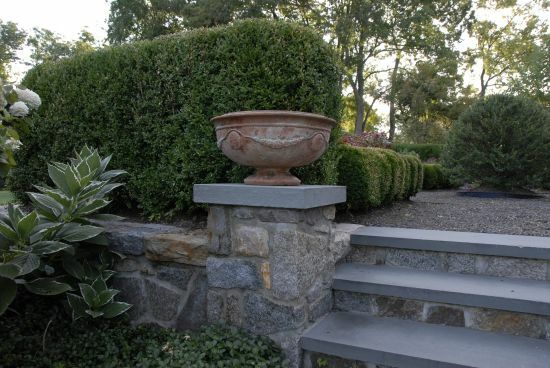 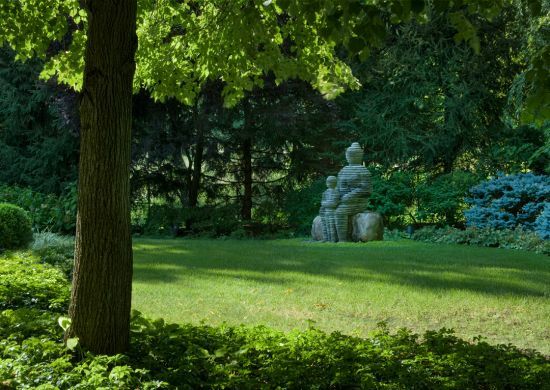 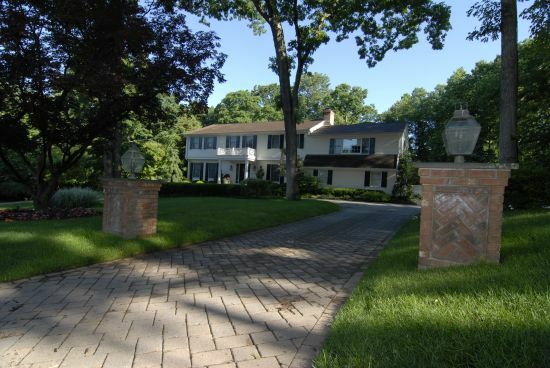 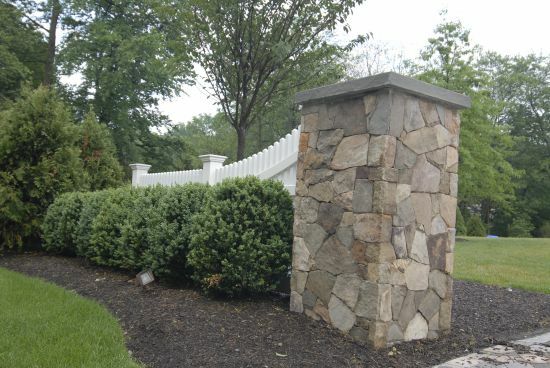 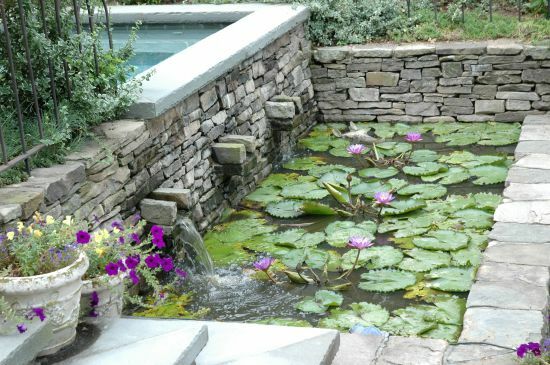 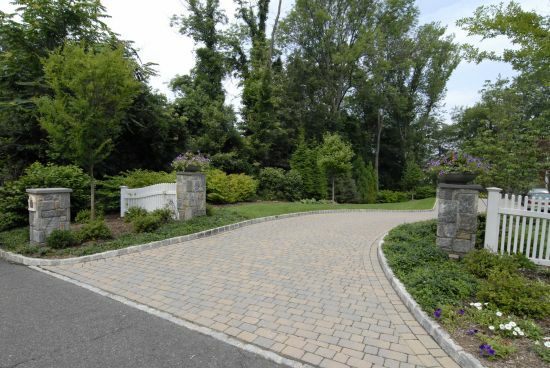 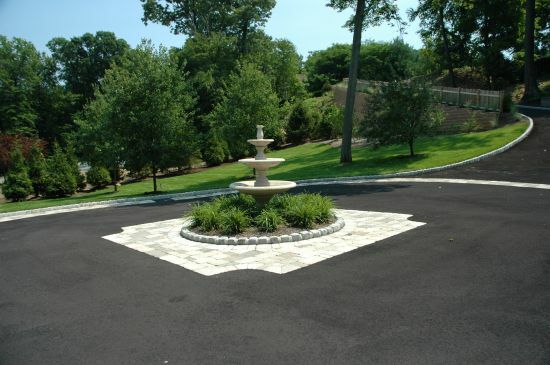 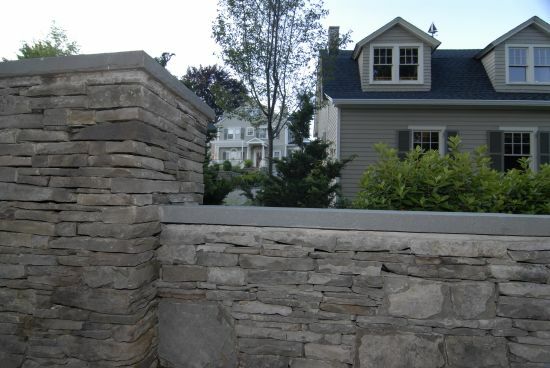 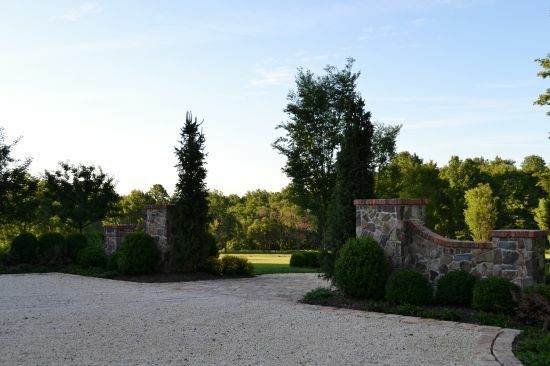 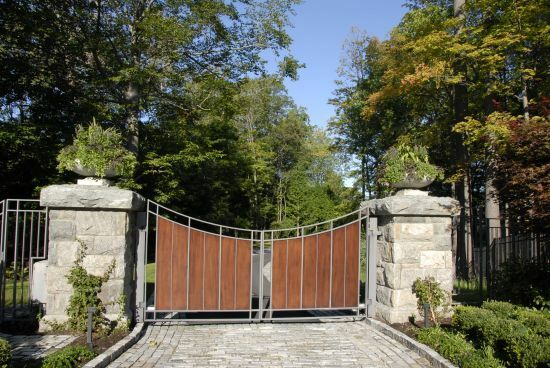 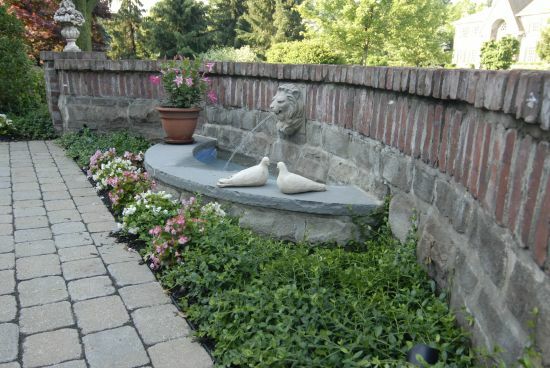 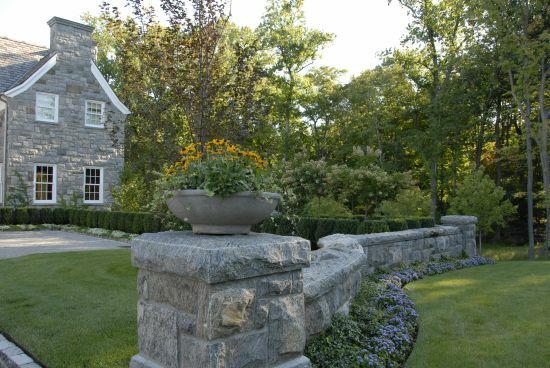 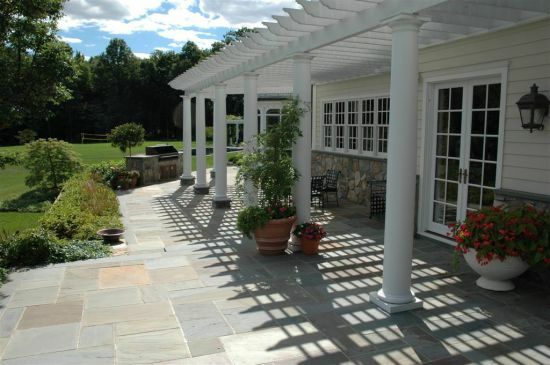 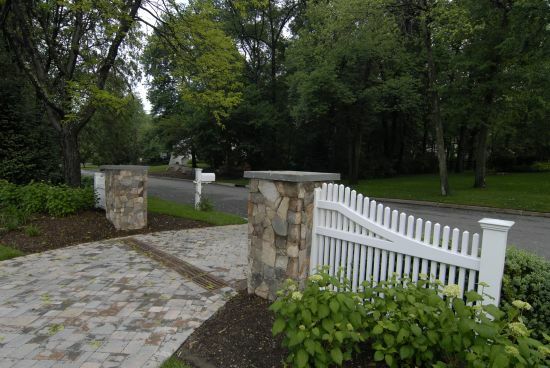 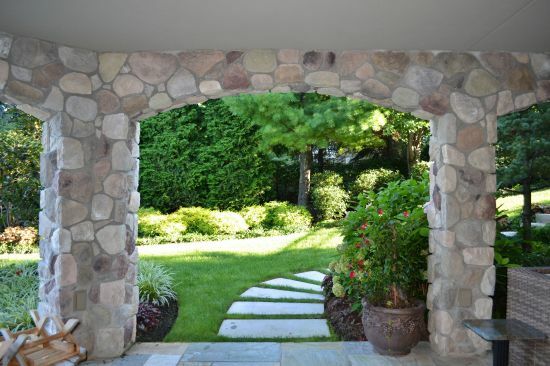 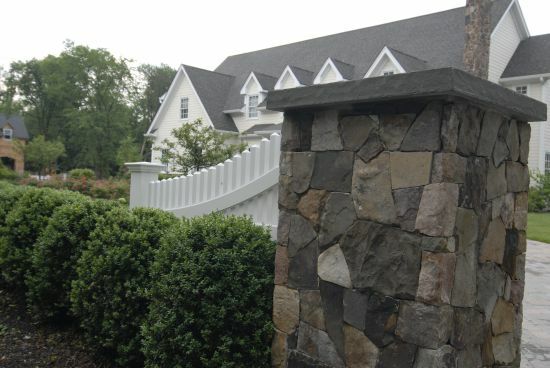 Piers are a solid stone pillar that ends wall or frames a driveway. 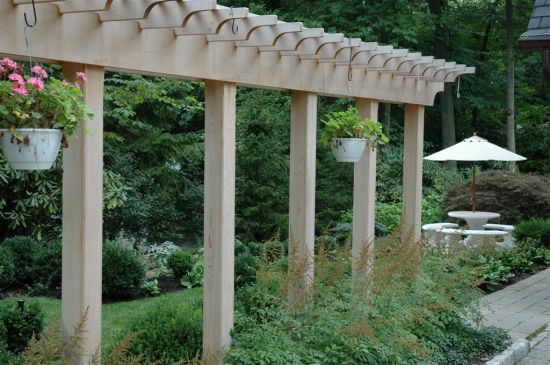 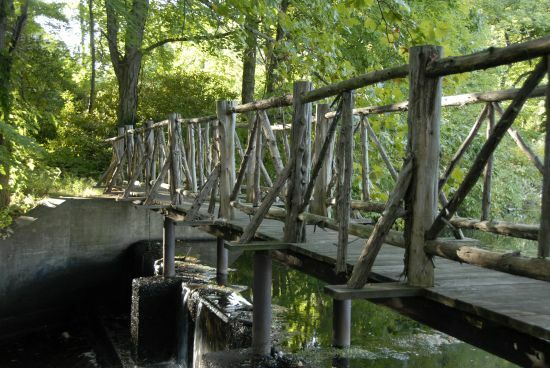 Piers can be built with a few different materials. 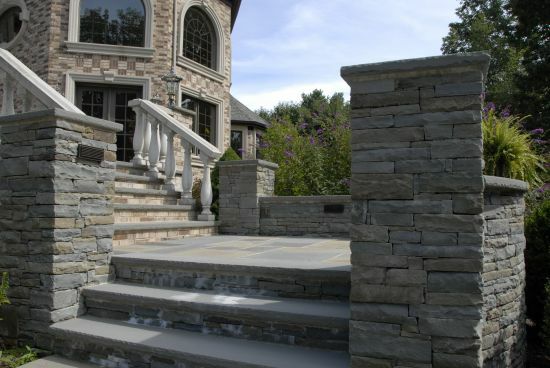 Most are built out of stone, while others are made from brick or stucco. 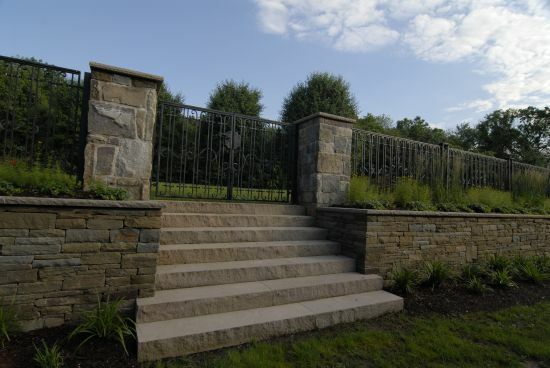 They can be built any size and capped with a natural stone or the same surface as the veneer. 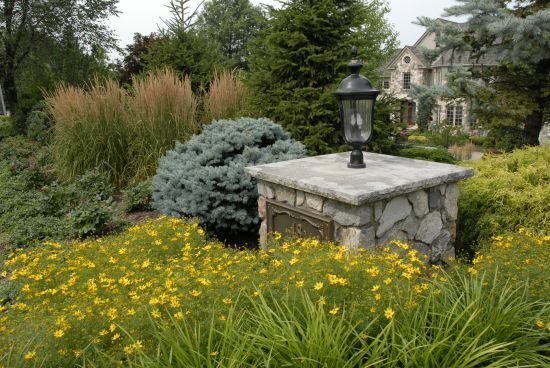 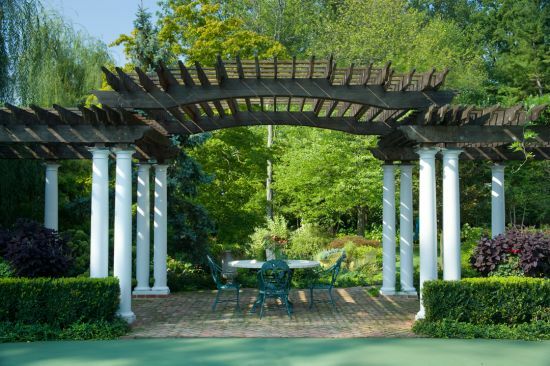 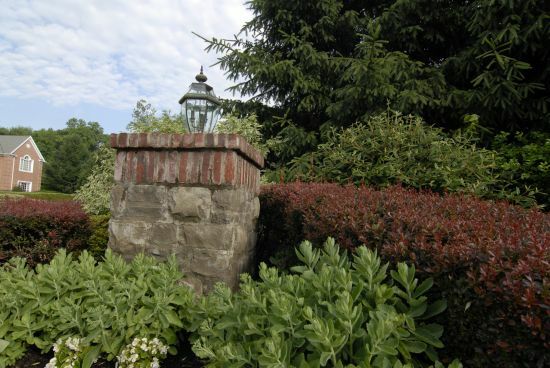 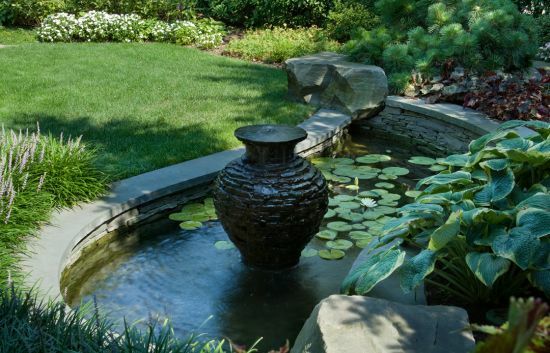 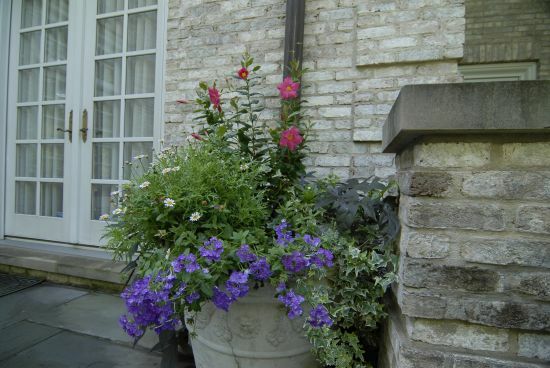 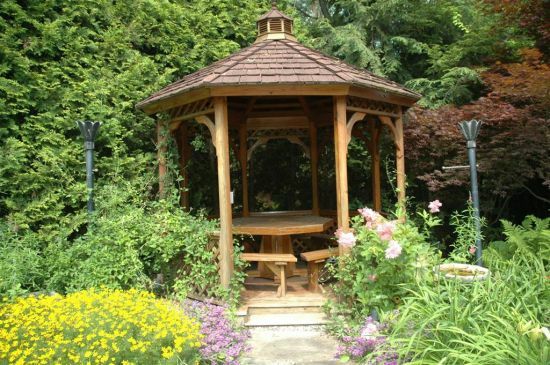 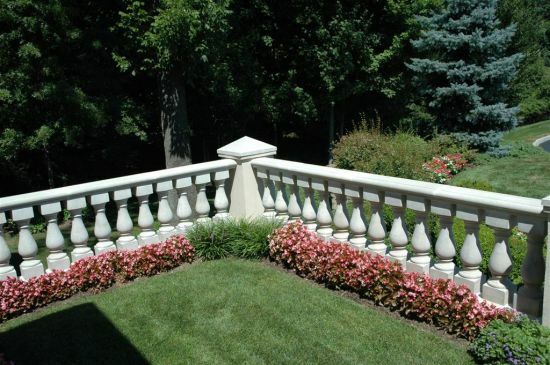 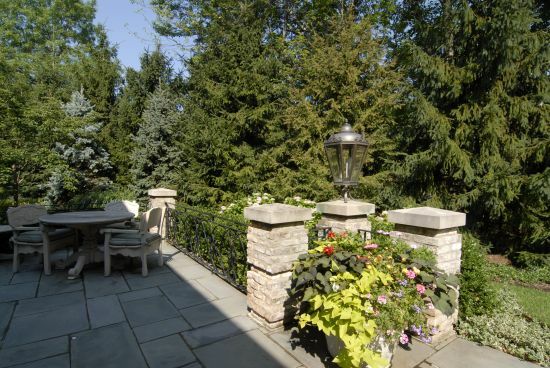 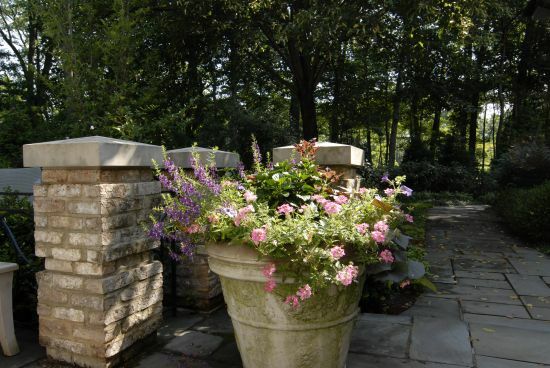 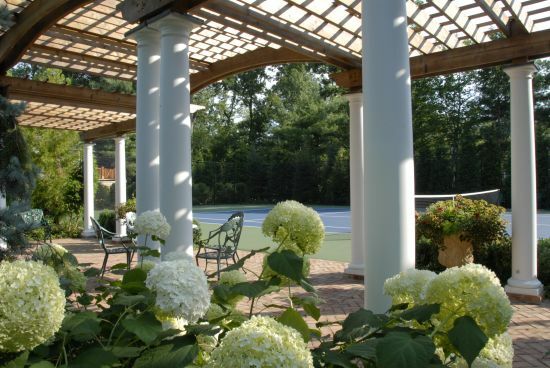 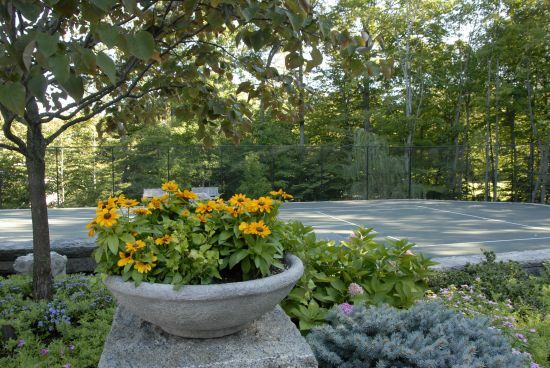 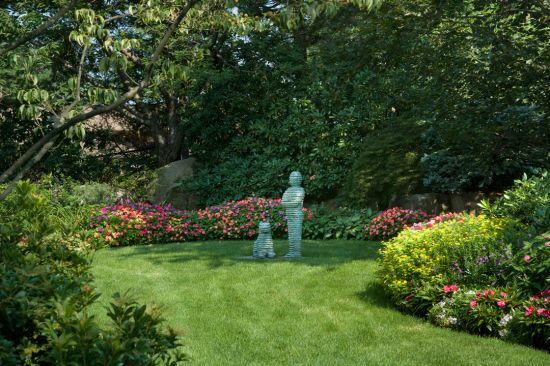 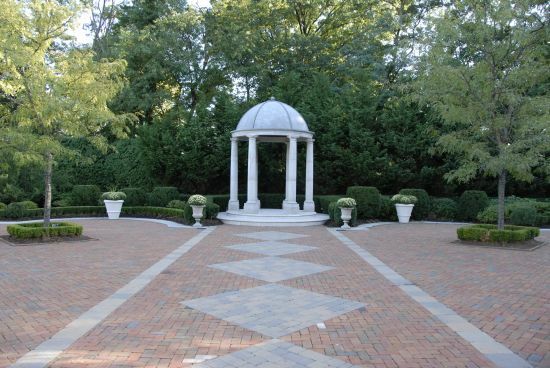 Lights or urns can be placed on top to enhance the piers. 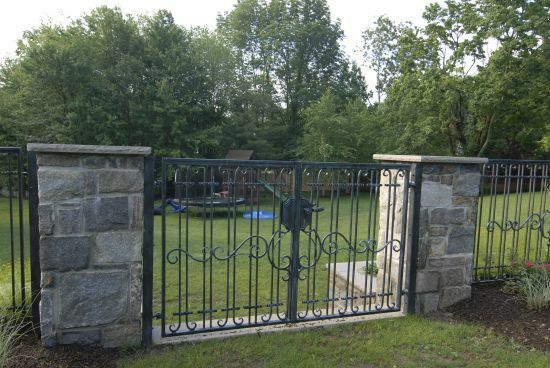 Whether a town is requiring a fence to due installation of a pool or landscape needs to be protected from deer, fences are a necessary part of your landscape. 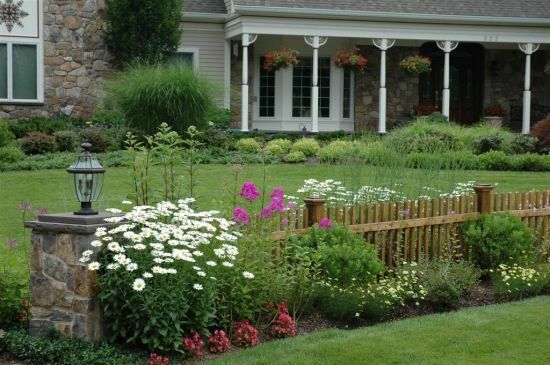 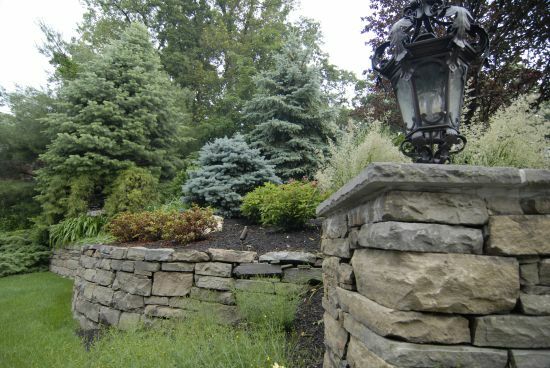 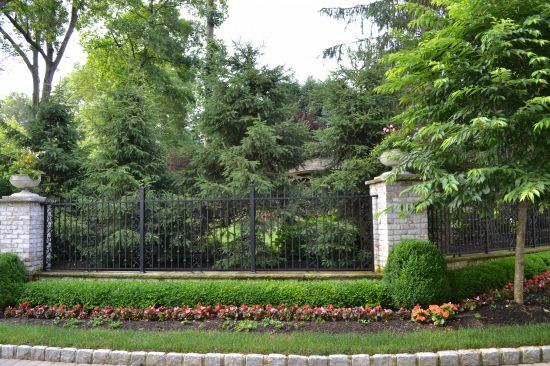 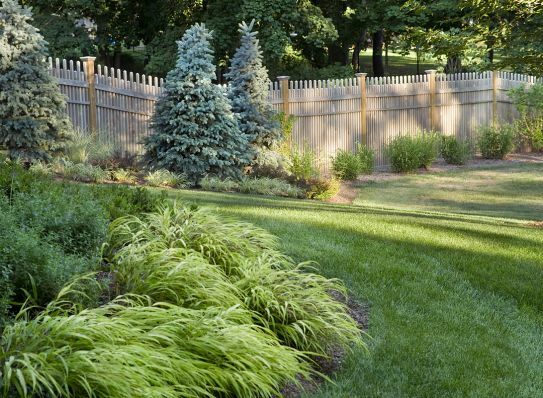 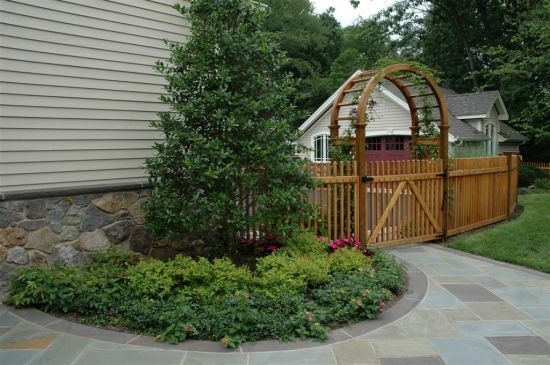 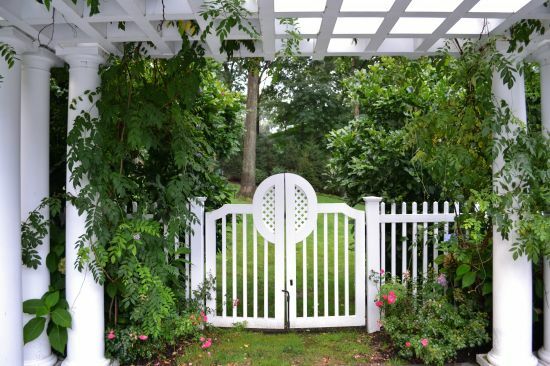 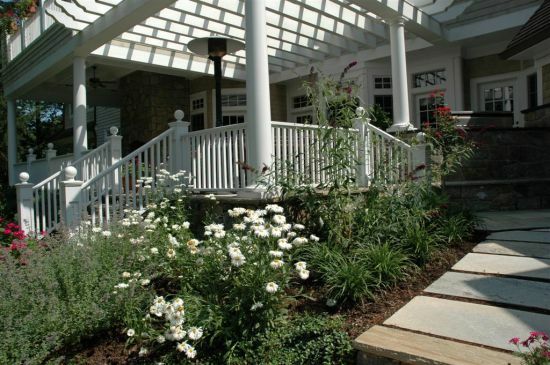 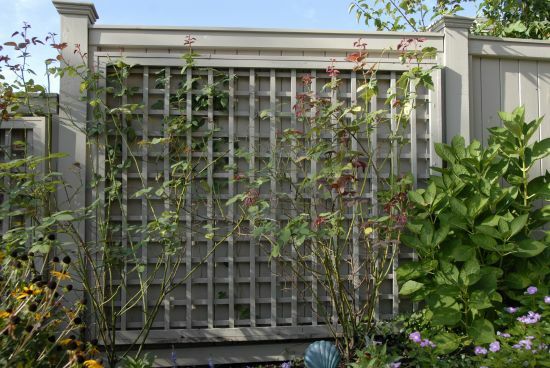 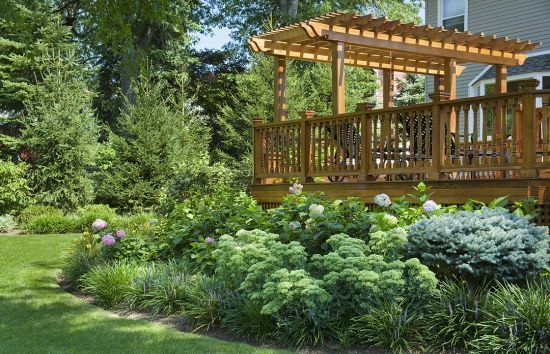 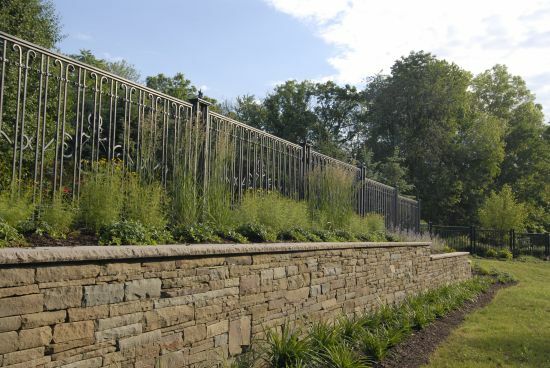 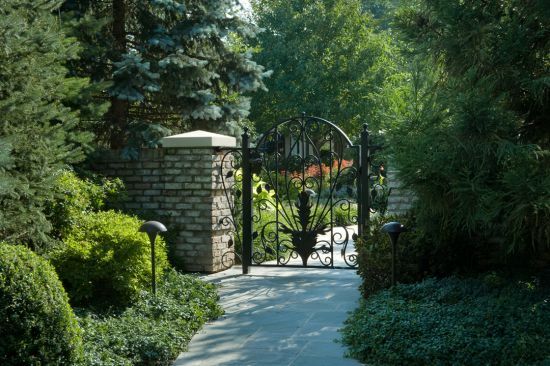 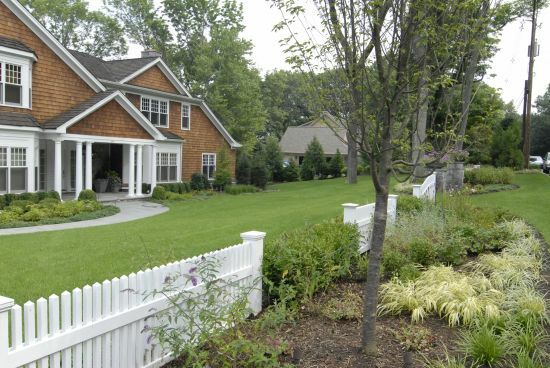 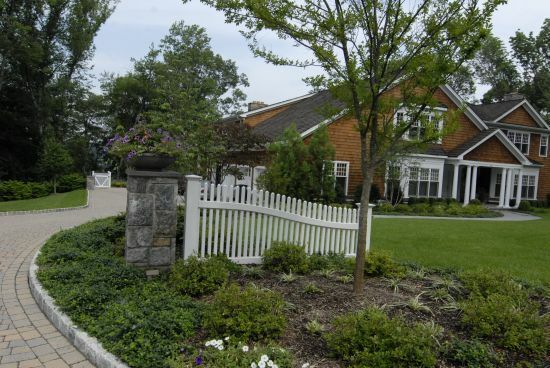 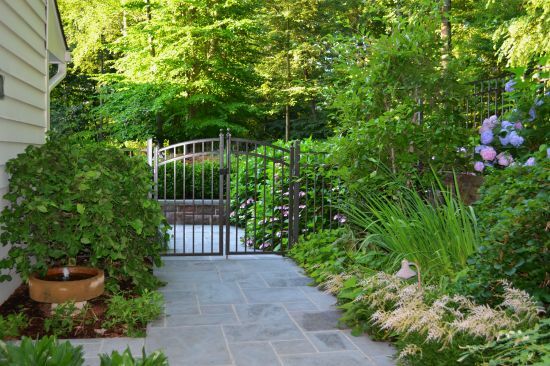 Styles are important to consider depending on how the fence will tie in with the rest of your landscape. 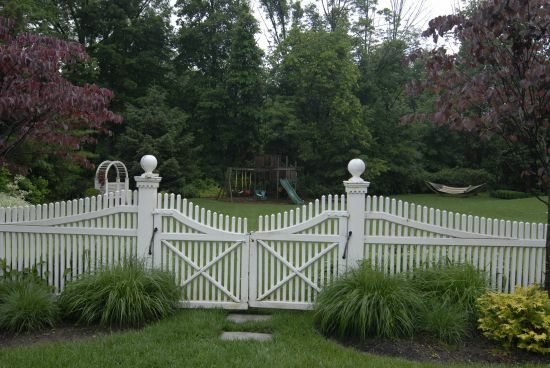 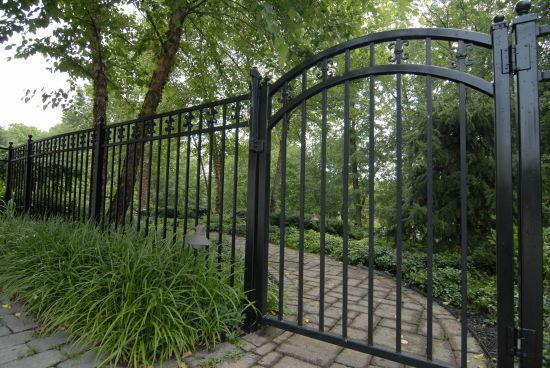 Materials for fences include wood, aluminum, chain link, or maintenace free PVC. 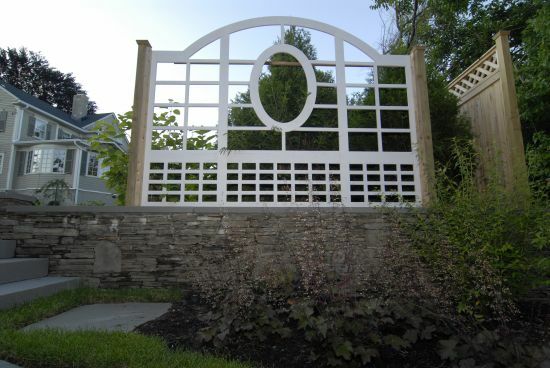 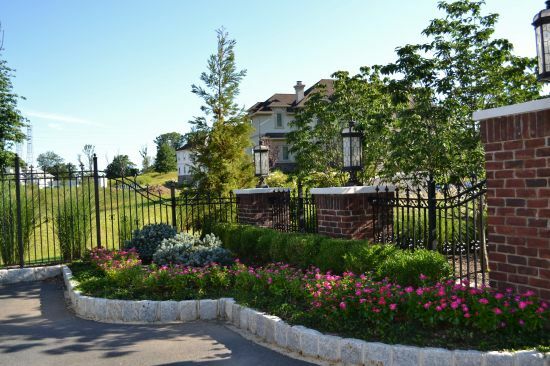 Our designers can do a fence design or layout for you to consider as an option for your landscape. 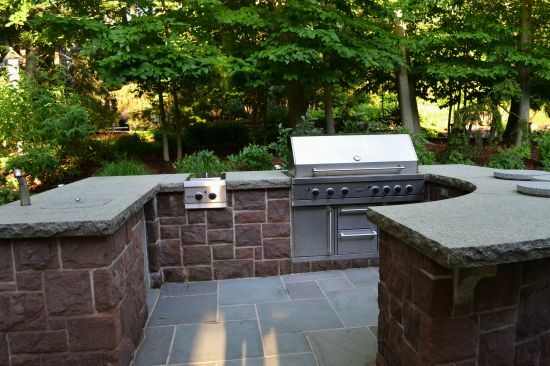 A great way to encourage outdoor dining and encourage the enjoyment of the fresh air is to build an outdoor kitchen. 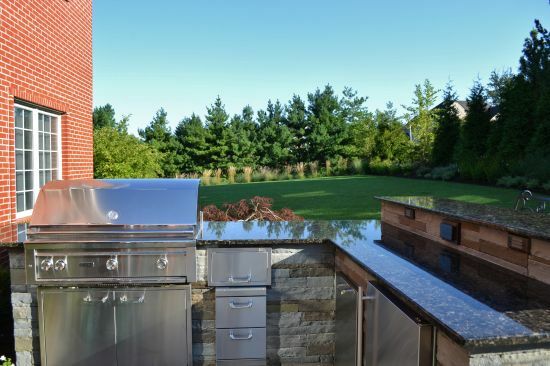 Nowadays anything that is in you house’s kitchen can be brought outside to create a more uniqe outdoor living environment. 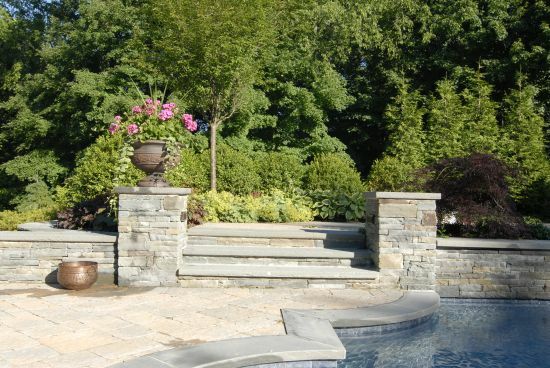 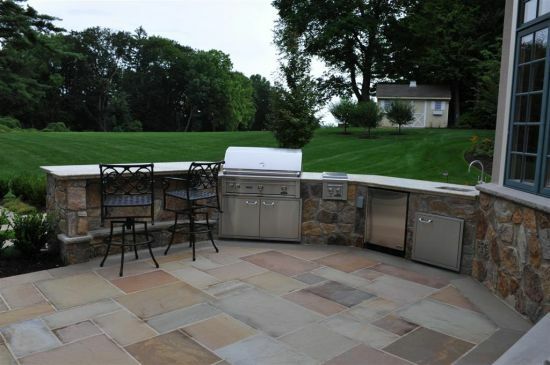 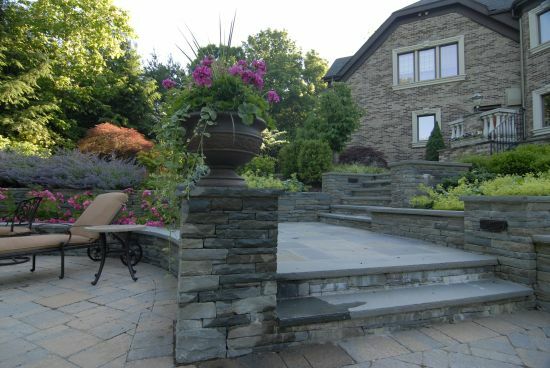 A stone structure surrounds the appliances and gives an impressive look to any outdoor entertainment area. 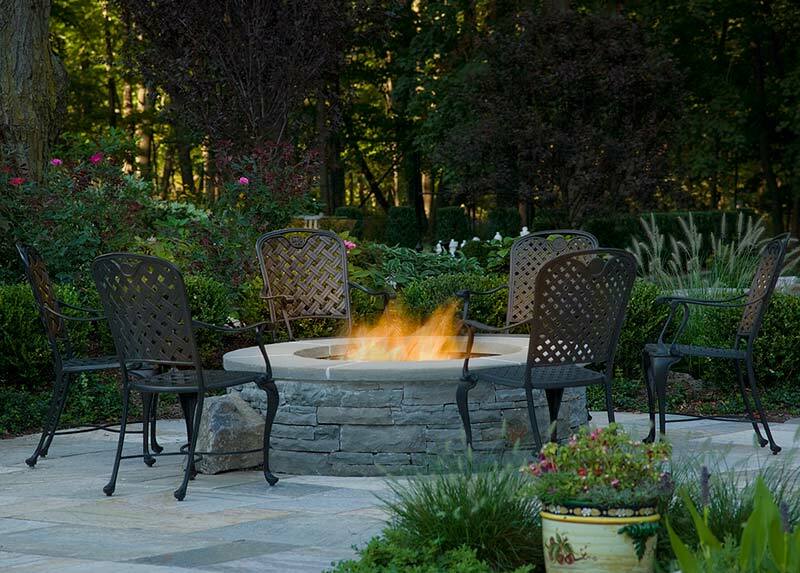 Fireplaces and fire pits are also a great way to extend the Fall season. 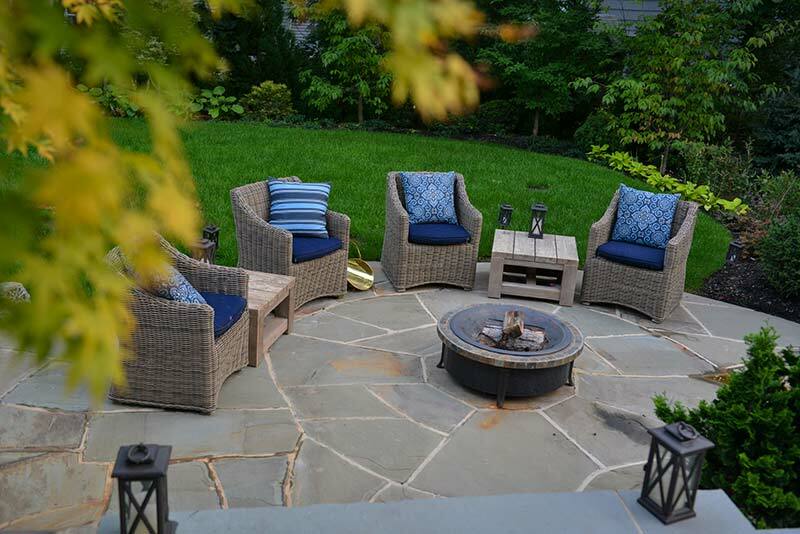 Now you can enjoy your outdoor space longer during the year as the temperatures cool into the early night. 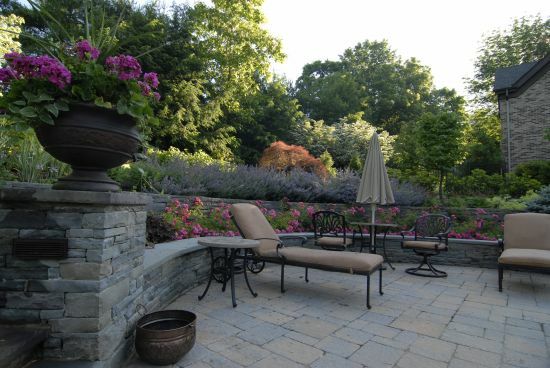 No longer is the outdoor season just from Memorial Day through Labor Day. 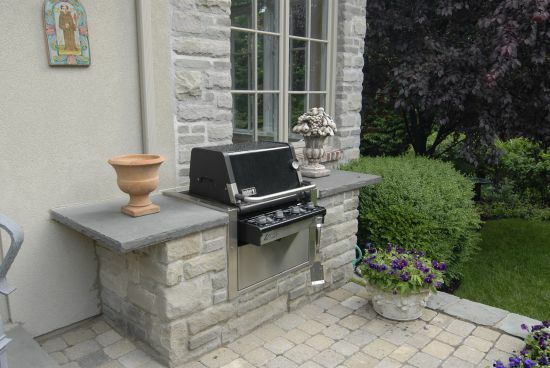 The addition of a BBQ or fireplace to your backyard creates a whole new element of your home to be utilized and favored by everyone. 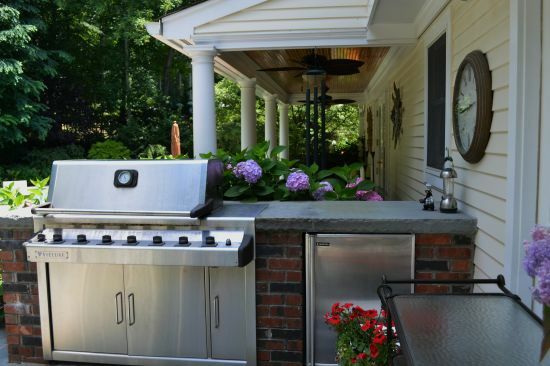 An outdoor BBQ and fireplace are both investments that are able to be enjoyed all year round and increase the value of your home. 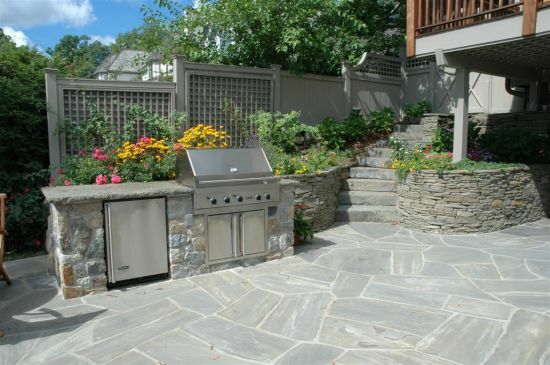 Both a fireplace and BBQ will transform your backyard into another living space for the whole family to enjoy. 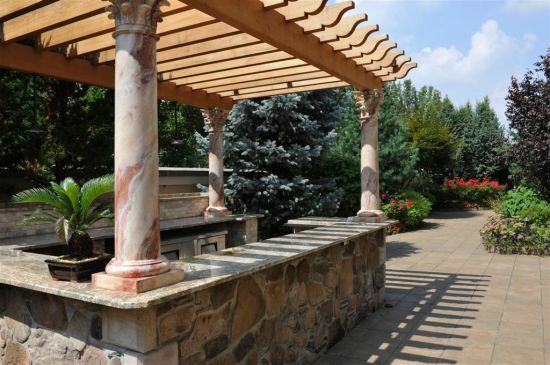 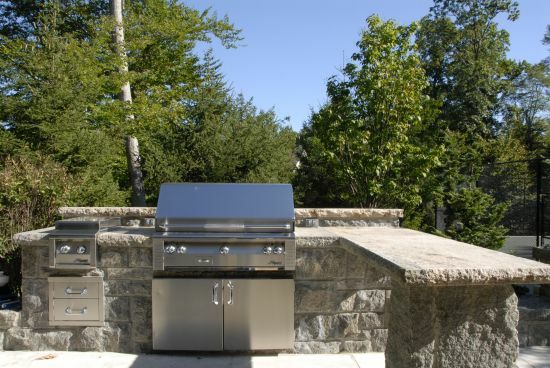 Scenic designs and installs all custom outdoor kitchens and fireplaces that best suit both the homeowner and home. 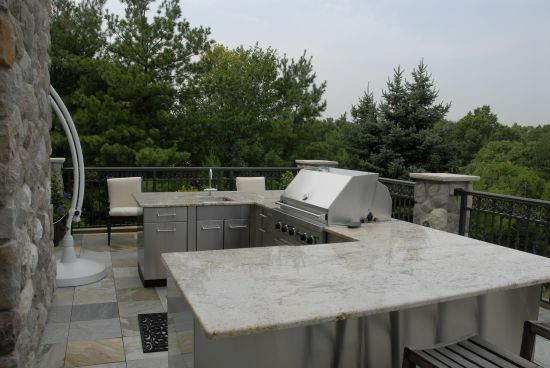 From large, intricate outdoor kitchens that are complete with fridges and bars and granite counter tops, to a simplistic built-in BBQ space, we are able to customize the perfect outdoor environment for you. 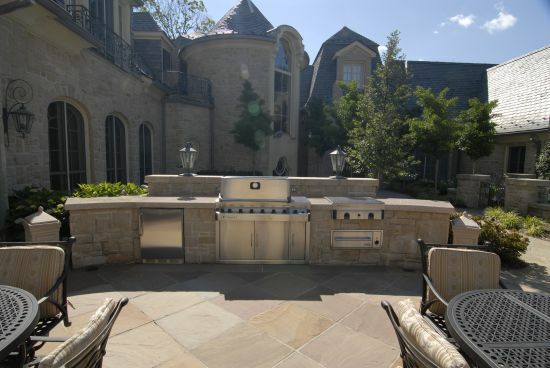 Outdoor fireplaces are quickly becoming one of the most popular fixtures for homeowners to invest in. 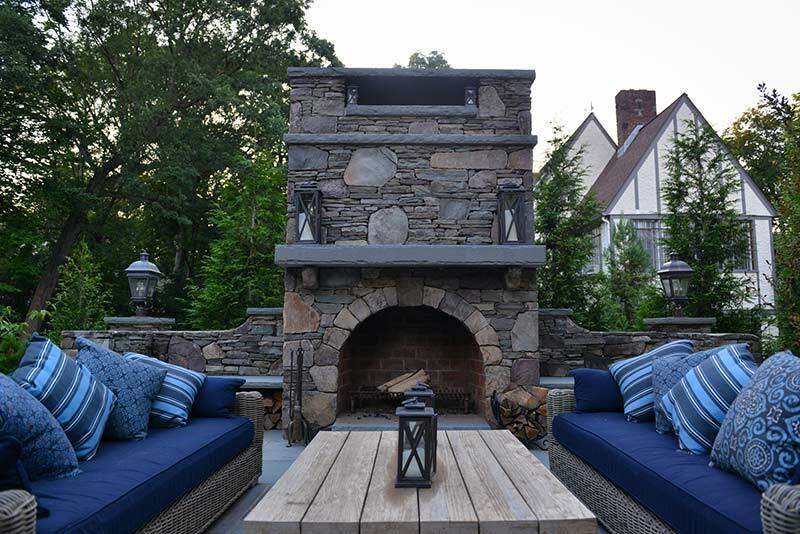 An outdoor fireplace is enjoyed in every season, and a cozy space to spend with loved ones and friends, a space that allows you to be immersed in your landscape while also providing privacy within the great outdoors. 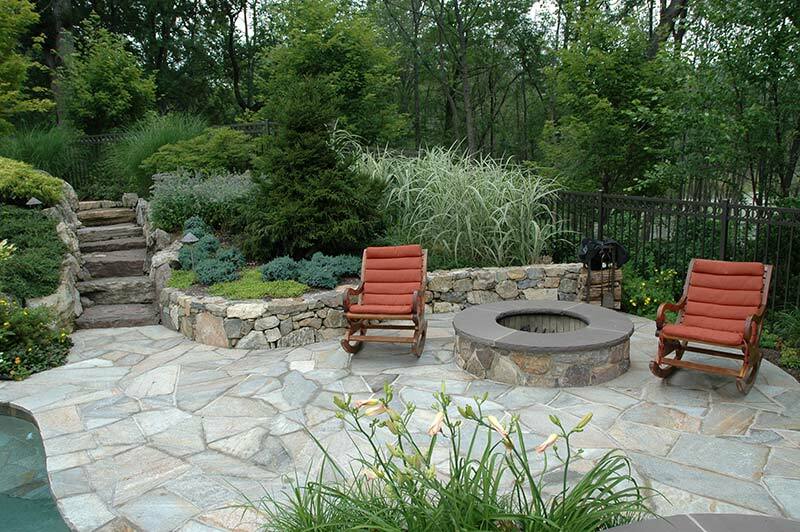 Fireplaces as well as fire pits are easily customized by stone and size and statue to fit your needs and your style. 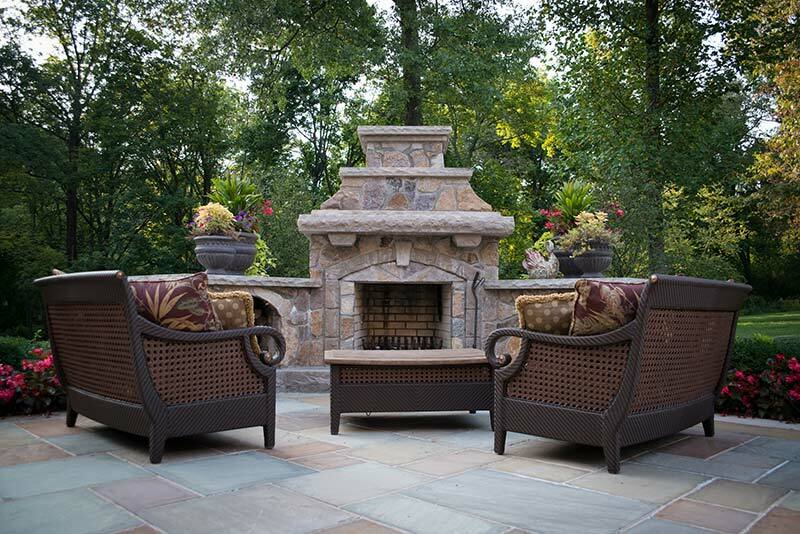 Many popular styles now include built in custom benches to surround the fireplace or pit, creating ample seating and a comfortable, cozy setting. 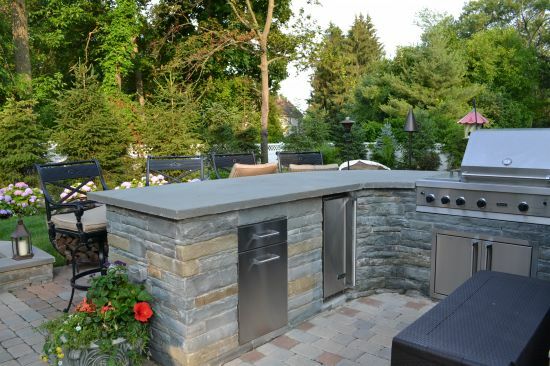 Creating your outdoor living space is an easy way to impress friends, an ideal area to spend days and nights with your family, and the perfect environment to host and entertain. 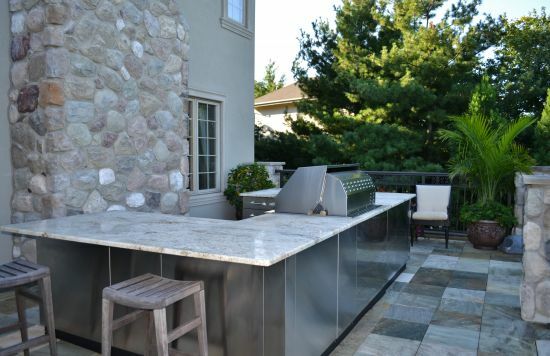 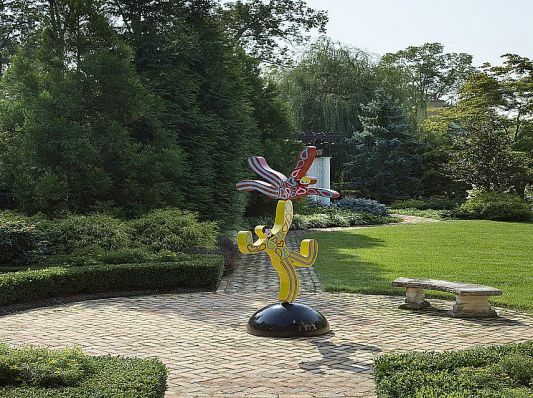 No matter what size your property may be, or whatever the vision is that you may have in mind, we will tailor our designs and installations to exceed all of your expectations. 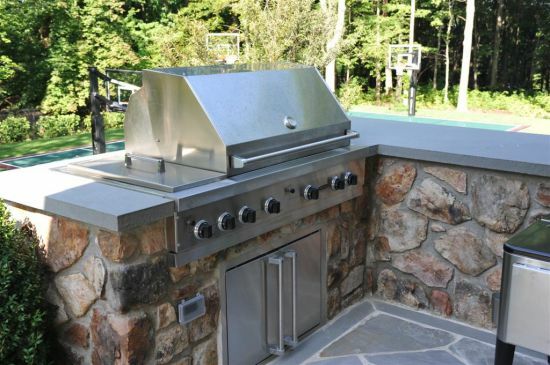 Feel free to browse the photos for inspiration on fireplaces and BBQ’s, or contact us to see more of our designs and discuss any ideas or questions you may have. 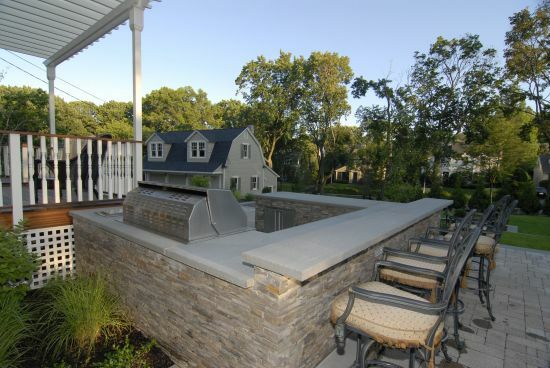 Custom benches were built into this fireplace design to be used as storage as well as additional seating.